Nunamoochie never lets us down when it comes to colors and prints, and Anya is no exception. The summer colors are guaranteed to make you feel sunny no matter what mood you or your baby may be in. The right side is bright and vibrant, while the "wrong" side has more of a soft, pastel feel. The softness of this wrap leaves you with not much left to ask for because straight out of the bag, it is soft and buttery, let alone after its first wash. The width and weave of the wrap makes it a great choice to have around early on and grow with your new squishy, which is especially nice for your wallet. And best of all, Anya will leave you wanting to learn new carries and finishes to show off her beautiful pattern of the colors. *FYI: Earlier this year I did a review of Nunamoochie’s first handwoven Retro, and it was pretty much love straight out of the box. (Retro was also my first handwoven wrap!) It is very similar to Anya, except that Retro’s width is about 1 inch narrower and it is made of organic cotton, which makes it slightly stiffer. They are mostly comparable that different when it comes to how they wrap. Enter ANYA… The first 4 things that will always come to mind when I think of Anya is the warm feeling of the sun, my girls giggles (which make me SO happy), raspberry lemonade- or a sunrise tequila- and of course Anya herself. 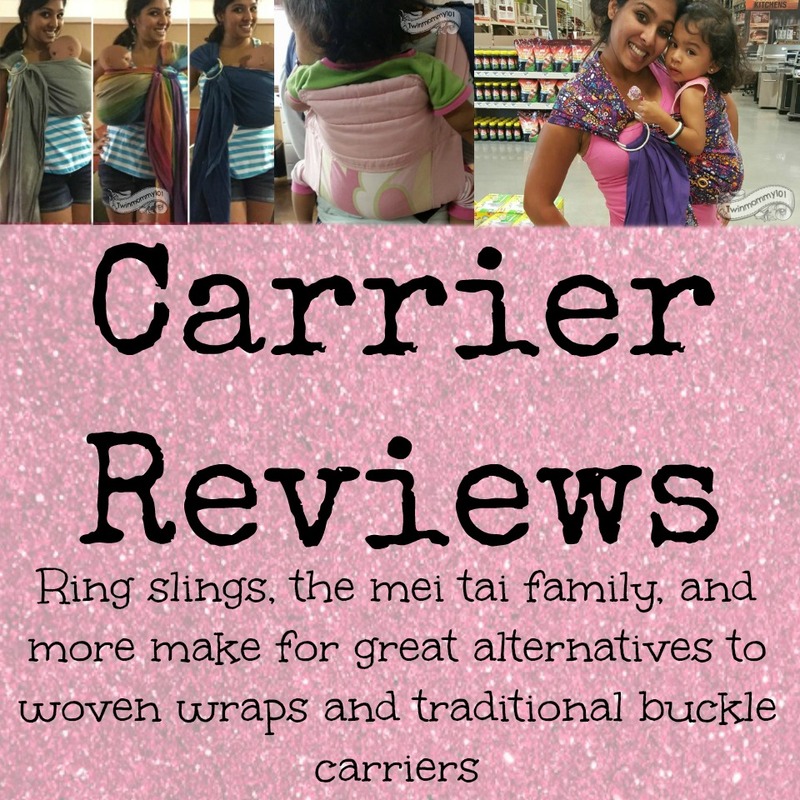 (Did you know the wrap was named after Colleen and Tanni’s (the owners) sweet new baby girl! All of whom I had the pleasure of meeting at MommyCon 2015! #fangirl moments!) I was sure that this new release was going to be just as, if not even more, exciting than Retro because I feel like Nunamoochie is up for trying new things, which makes me excited to try all of their wraps. Right off the bat, after opening the package, we had to cuddle with Anya. Not wrap, just cuddle. (These cuddles were VERY brief, because remember, you need to wash wraps when they come in loom state so the weave can set.) It was SO soft and floppy, and despite its thinness, I could tell that there was enough cush in the 100% cotton threads to keep from digging. The very first thing I did after she was done washing was take her for a tandem HJBC ring finish Rebozo stroll around our street. (Note to self: don’t wrap in a strapless top!) I was so impressed with how easy it was to handle the material during the shoulder flip, how easily the pass glided across my baby, and how much it did NOT dig in my shoulders. Speaking of the stripes… I seriously cannot rave enough about the colors. (Did you know the threads were custom dyed JUST for this wrap?!) While, in general, prints and colors are always an added bonus, they aren’t always enough to motivate me to really test my creativity and knowledge. With Anya, I felt like I had an endless combinations of carries and finishes to wrap and show off her colors, which in turn motivated me to really test and expand my wrapping knowledge/abilities. The candy cane chest belt (CCCB) twist that finishes off the CHCC (as seen in photo on review banner), has by far been my most favorite way to show off the colorway. Overall, I REALLY love this wrap for someone who has a little bit more of a flexible budget. ($149 for a size 6 is NOT BAD for a handwoven!) And if you are looking to wrap a smaller squish you are really going to get your money’s worth because you are likely to be able to wrap your baby in Anya until you and your little end your wearing journey. I wouldn’t mind wrapping a bigger kid with this as well, but because it is so lightweight I worry about it inadvertently digging. (will update post if I have the opportunity to do so!) I would love to have this wrap in my stash and think it would make a great addition for both experienced and novice wrappers. I look forward to seeing what Nunamoochie comes out with next!